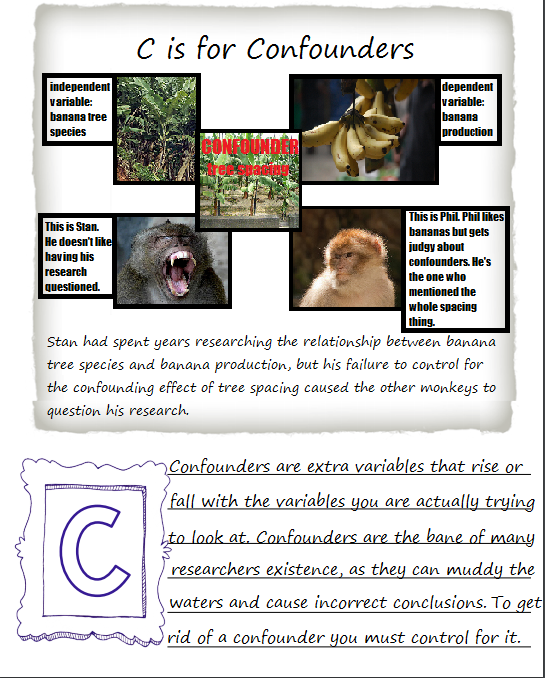 Today we’re looking at confounding effects. And monkeys. And banana production. In case you’re curious, banana trees actually should be pretty close together. They don’t like being exposed. Image credit for independent variable, dependent variable, confounder, Stan, and Phil. All images modified as allowed by the Creative Commons license. Credit for the camel picture is Flickr user Camel Droop. Graphs and camel names were my addition. 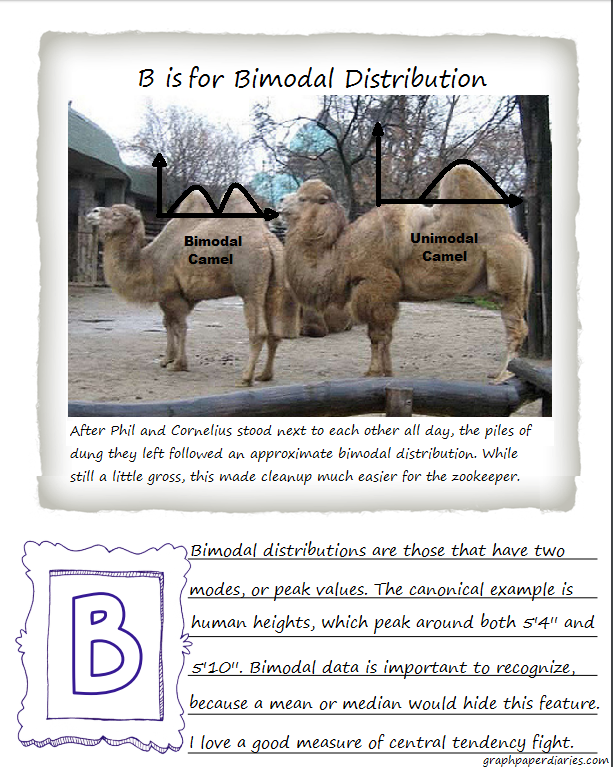 While human height is the typical example of a bimodal distribution, it actually isn’t one. That’s why I went for dung heaps in my example sentence. A few weeks ago, I hung out with two lovely people who were self-professed language lovers who didn’t really like math. Over a wonderful spread of french fries and beer, I tried to get them a little more well versed in why math and statistics were so appealing to me. After a few more beers and a wonderful reading of Introductory Calculus For Infants , I had an idea: wouldn’t it be fun to put together a list of statistics words for logophiles? Since my urge to systematize pervades all aspects of my life, I figured I’d start with the alphabet. 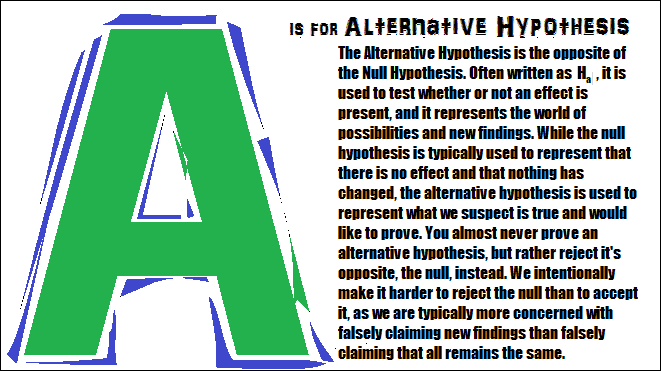 More specifically, the letter A. Obviously I’m cheating a bit here as this is technically a phrase, but bear with me. Hypothesis testing in general and the Alternative Hypothesis in particular are beautiful things. Learn more about them here.